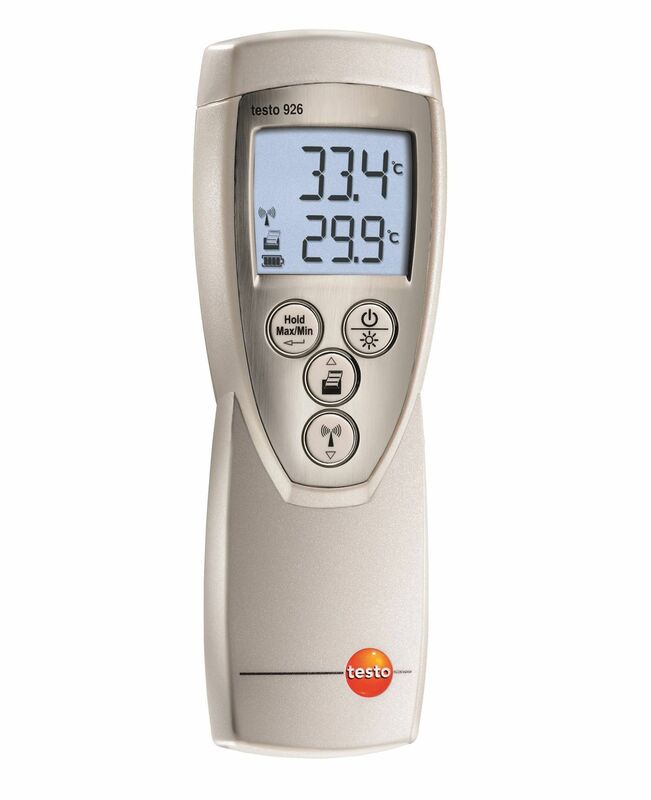 testo 926 temperature measuring instrument starter set | Merülő és beszúró hőmérsékletmérők | Hőmérséklet | Paraméterek | Testo Kft. Professional temperature checks in the food sector: part of the everyday routine in large kitchens, top restaurants, industry and trade. The testo 926 temperature measuring instrument starter set is a reliable and convenient tool for your routine tasks, enabling you to get started straight away with your measurements. Certified to HACCP and EN 13485, the temperature measuring instrument is ideal for use in the food sector. Freely definable limit values make your daily work routine easier. When limit values are exceeded, an acoustic warning signal sounds and min. and max. values are saved automatically. 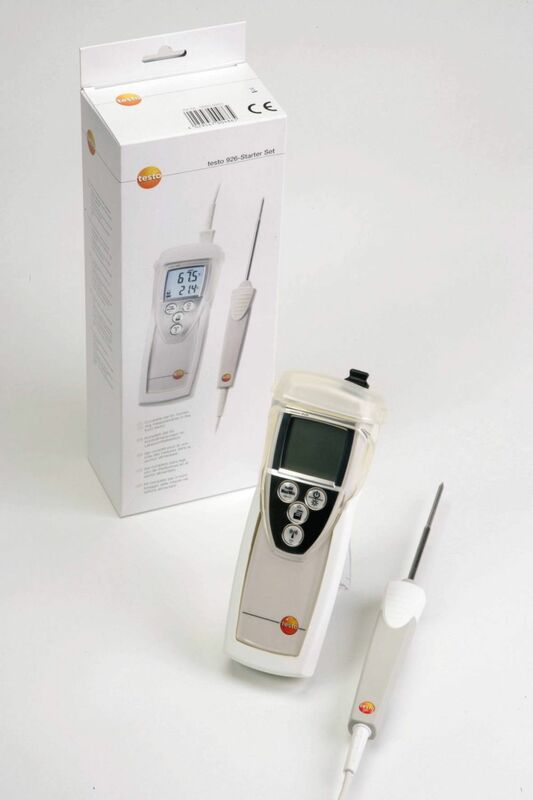 The testo 926 temperature measuring instrument starter set includes a waterproof standard immersion/penetration probe. You can get started with your measurements straight away. As another option, Testo offers additional probes that you can order separately depending on your individual practical requirements: e.g. frozen food probes, particularly discreet probes, which do not leave behind any puncture holes, heat-resistant probes for oven temperature checks or temperature probes, which transmit their measurement results wirelessly to the testo 926 temperature measuring instrument. The scope of delivery for the starter set includes the TopSafe protective case. This protects the temperature measuring instrument against dirt, water and impact and can, if required, be removed from the instrument and cleaned in the dishwasher. The testo fast printer is available, for example, as an optional accessory for printing out your measurement results directly on site. 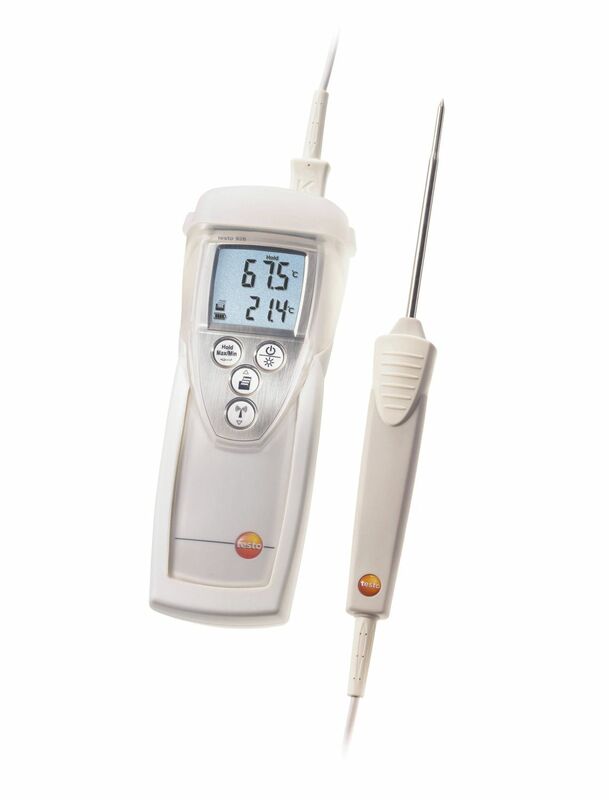 testo 926 food temperature measuring instrument incl. TopSafe protective case, waterproof standard immersion/penetration probe, calibration protocol and batteries.